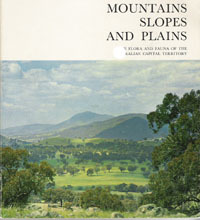 Earlier NPA ACT publications include Mountains, Slopes and Plains - the flora and fauna of the Australian Capital Territory (1971), Rambles around Canberra by Mortlock & O'Loghlin (1977) and The Conservation of Remnant Woodland and Native Grassland in the ACT by Kevin Frawley. Copies may be borrowed from the NPA office and from time-to-time we have second-hand copies for sale. Also, in its Silver Jubilee year (1985), NPA ACT held a conference at the Australian National University titled Australia's Alpine Areas: Management for Conservation. 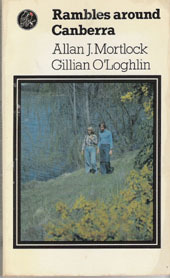 The proceedings were published the following year and edited by Kevin Frawley. 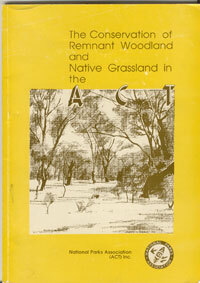 Well known local ecologist Ian Fraser compiled an NPA ACT report in 1988 titled: The Northern Cotter Catchment ACT - A case for its conservation and reservation. "We often come across old ruins when we are out walking: slabs of timber, old fences, bits of iron. We know they are the remnants of people’s lives and we sometimes speculate about the stories behind the weathered remains lying in the grass." In this monograph Colin McAlister has documented the rich history of twelve of the sites at Glenburn and Burbong and fleshed out the stories so that we can image the schoolroom with the wind whistling through it or the merry dancing at the bachelors’ ball. NPA ACT is pleased to be associated with publication of this work because the area is coming under increasing pressure for development and significant changes are being planned. If we don’t care for these sites we risk losing not only a noteworthy bit of our own history but also an awareness of how people lived and what was important to them, things like a sound education for their children as well as having a really good party from time to time. Colin McAlister’s work reminds us that the preservation of our history is in our own hands. All printed copies have been sold. A download copy is available here. The download is 3.1MB. You may print the download or any part.